Mortgage Interest Rates - When people shop for mortgages, one of the first things they want is to know the interest rate. Not only that, they want the best and lowest rate. When your average loan officer hears this, they usually don't want to lose you as a client, so they might low ball the rate a little. It doesn't matter if they put this quote on the good faith estimate. It's just an estimate on a piece of paper that until you have a property and have locked into this rate, some loan officers won't honor this estimate. And in order to secure this rate, you should have been given an interest rate lock-in agreement. Overall, what you think might be the best, might not be the best. Shopping and comparing is not always easy and needs to be done on the same day. What I want to talk about is your mortgage payment and what you should be thinking about. It can be a balancing act when you are trying to get the lowest interest rate when your main focus should be what type of mortgage payment that you would be comfortable with. One of the first questions that I ask is what kind of mortgage payment you would be comfortable with, or at least a range. 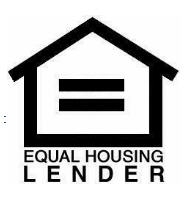 I have been criticized by a few loan officers in the past for mentioning this and they had their own reasons. But believe it or not, about 95% of the buyers that I speak to, already have a quick idea. This shows that they have been pro-active in their thinking and not trying to buy the most house that they can afford. A quick lesson in mortgage interest rates. Sure, the lower the rate, the lower your mortgage payment. But should it really matter if you tell me that you are comfortable with a $2,500 mortgage payment and I tell you that your interest rate is 15%? Sure, it would mean that you could only buy x,y,z house. But your main focus was on the payment that you are comfortable with. In my opinion, interest rates can play a mind game in several ways. Many people in our industry have been told to rate. Too many people get hung up on trying to get the lower rate. Sometimes in your mind, a lower rate means that you can afford that payment. When in reality, you should start with what payment you can afford. Another issue is that some consumers try to out do their neighbors and friends. It becomes bragging rights, in regards to who got the best deal. Unless you both pull out your credit reports, you HUD-1 settlement sheet (to see how much you paid), and bought the exact same house; this still won't tell you who got the best deal. Lastly, each consumer is different. There is not one person out there that will ever have the exact same scenario as the next. And 2 months down the road, who can say that the rates would be the same or that they are the same. ADVICE : Trust the professional that you decide to go with. Always ask questions and if you don't understand something, don't hesitate to ask. "No question is a bad question." Huge difference between quoting rate at PAR, and qouting rates and closing costs at the "going" rate around town! Regardless, the most important factor involved with quoting a rate in ANY case, is soley based on the number of questions you ask a borrower, to determine what their ACTUAL needs are! Often times, people dont EVEN KNOW what their own needs are, until we as professionals, plant the seed! "The only protection the consumer has is the personal intergerty on his Loan Originator!" "It's just an estimate and doesn't matter until you have a property and have locked into this rate." Just an estimate? If I'm the LO it matters to me! It's my "Good Faith" on the line! Jeff, I wish you were here! You explain everything so succinctly and make it understandable. The more people like you out here, the better. Thanks. I'm printing this off and taking it to opens with me. Best wishes!!! Jeff, thanks for the clarification...great job! I am forwarding to my office. I say so "when you say you want a lower rate - you mean you want a lower mortgage payment right? " I think it always gets them. So I show them how to get a lower payment. Show them the benefit of the loan that they are getting! Thanks Jeff! I have been saying this for years. I am glad that you put it out there. The bottom line is does the payment work for me and my situation. Is it a good loan. You can have in the 4's if you want an arm. Is the rate worth having an arm. I wrote dont bend over picking up pennies while dollar bills fly over you head. Thanks again for the great post. DARIN.... . not to confuse anyone, but I hate using the term 'par', because many don't understand this. It should come down to your goals and how much money you have. We as loan officers need to evaluate and screen our clients well. But I do know what you are saying, so thanks. Overall, you hot the nail on the head in your 2nd and 3rd paragraphs. As I mentioned above and as you mentioned, asking the right questions... and if I am correct in what you are saying, not just giving a rate without asking these questions. Thanks and thanks for that compliment. MATT.... . it's good to see and hear other loan officers such as yourself preach and teach payment, and not just rate. We do need to educate and explain the value of the dollar and rate. The loan officer that kind of attacked me on this issue,... she accused me of being like a car salesman, because I sold payment, to give them a higher rate based on their payment, so I could make more money. I laughed and told her, if you were able to think that up, then you are probably the person that uses this against someone as myself to make more money on a client. Besides, I don't have time to think this way, because I do value my clients and I truly believe in showing that real value. Thanks for your feedback and input. Thank you for this post. I chuckled when you talked about interest rates being bragging rights for the neighbors. It is so true and I know lots of owners that are so proud of themselves when they talk about their rates. But if you in factor in closing costs , etc. How much are you saving are you saving over the long term? Again, great information. Many people get stuck on the Interest Rate. A slight change of .125% or .25%... sure, it makes a difference, but it should not be a deal breaker. In many cases, the slight change in rate only increases or decreases your payment $25-50 a month (can be more depending on your loan balance). But its not enough to wait out the market and see if the rate comes back down. I still have plenty of people on the fence thinking they know the market... and will wait until it comes back down... Really??? The PROS don't know exactly what is going to happen, what makes them think they can tell? Anyway, decisions should be based on what the payment is not the rate itself... within reason of course. Jeff: Thanks for the post. I agree with you about educating and believe you are good at it. I wonder sometimes about asking how much people can afford. That's what we're asked at the car dealership and I would hope we're not the same as the car salesmen. No offense to car salesmen. I just think we are on a higher, more professional level. That being said, I think its important to give the customer choices. This post points that out. Thanks again! Jeff: Bragging rights on rates are like women bragging about their weight. Just because you have the lowest weight does not mean you have the healthiest body. Great Post and education for Realtors as well as consumers. Thanks! JOANNA.... . you hit the nail on the head. So many brag, but I bet not all of them paid equally, and those with the higher rate might have gotten the best deal. As I have stated, each client is different no matter how you slice and dice it. I wrote about it here... : I want the same deal that my friend got. JOHN.... . that is an excellent point and I didn't break it down like that, in regards to an 1/8 of a percent and some people wait for it... but it could go up and not come back down... and then what.,. for $8 to $23 extra a month, it will now cost you $34 to $55 a month? And yes, even the experts can't predict it, they just take a stab at it, Thanks for the feedback and for your input. PAUL.... . I never wonder, and if you have to wonder how it sounds to someone else, then you need to think of something else. Just my opinion. But in regards to this other loan officer, that is what she tried to make me look like, a cars salesman and it back fired on her. Out of about 20 loan officers commenting, only 1 agreed with her... and it was the same person that I don't care for nor do I think that person knows what they are doing. In my opinion, we can't assume what we do or ask would be like another industry that has a bad rap, a bad name. In my opinion, if you break it down, it totally makes sense in asking this question and it's easy to explain. I will say this, those in the mortgage business that don't think this is an important question, is a complete idiot. They are the same ones that sell rate and the most you can be qualified for. And I could be here all day on this subject... and maybe I'll write a blog on this. thanks for stopping by. Ok Jeff I have been away for a while . . .life got a little out of control . . so I am glad you know I think your the greatest. On some of this I agree . . they can tell the buyers a great interest rate and then wack them in other areas to make up for it. It is really hard to compare apples to apples because most of the time you don't know what kind of apple it is. But the interest rate is important . . it just isn't the only thing to consider!